Steel partitions are an effective solution to efficiently dividing your working environment. As a result they provide a cost-effective method of dividing your work space. 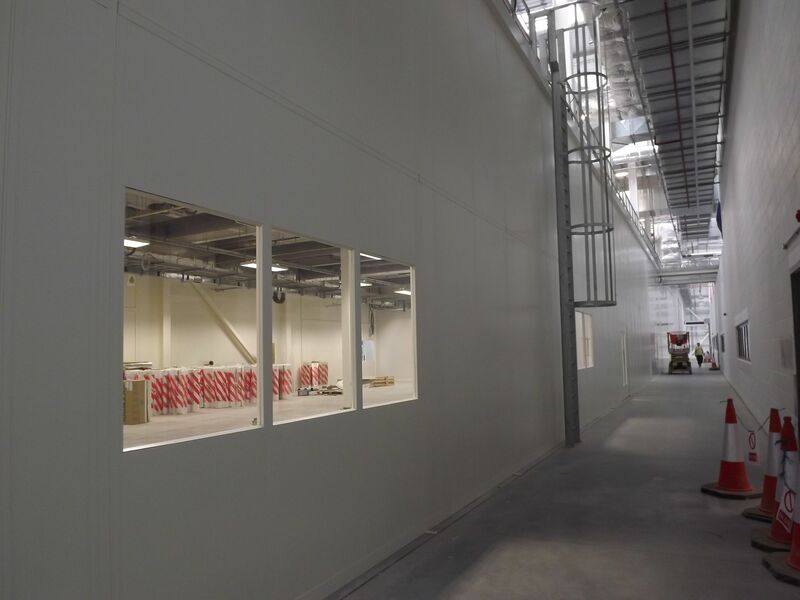 Furthermore they will offer a convenient alternative to traditional stud, board or block built partitioning systems. 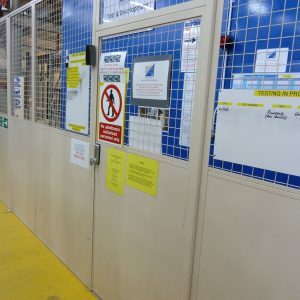 With over 30 years’ experience, NSI Projects supply and fit steel partitioning systems for work areas, factories and warehouses throughout the UK. Industrial partitioning systems allow for the creation of offices within factories and warehouses. Due to this they are ideal to create clean room environments or private work areas. All of this with no mess and minimum disruption creating a cost effective storage solution. 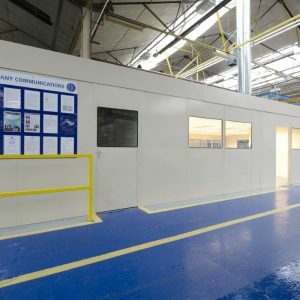 Single skin steel partitioning is ideal for a storage room in your existing warehouse or office space. 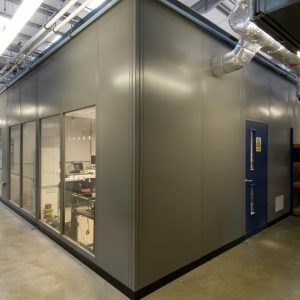 Comparably our fire rated partitions and fully installed double skin steel partition work best for an office or clean room. 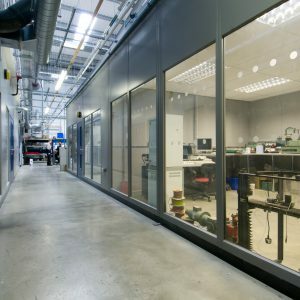 We offer a free no-obligation site visit while we advise you as to what industrial partitioning systems would suit your work environment. 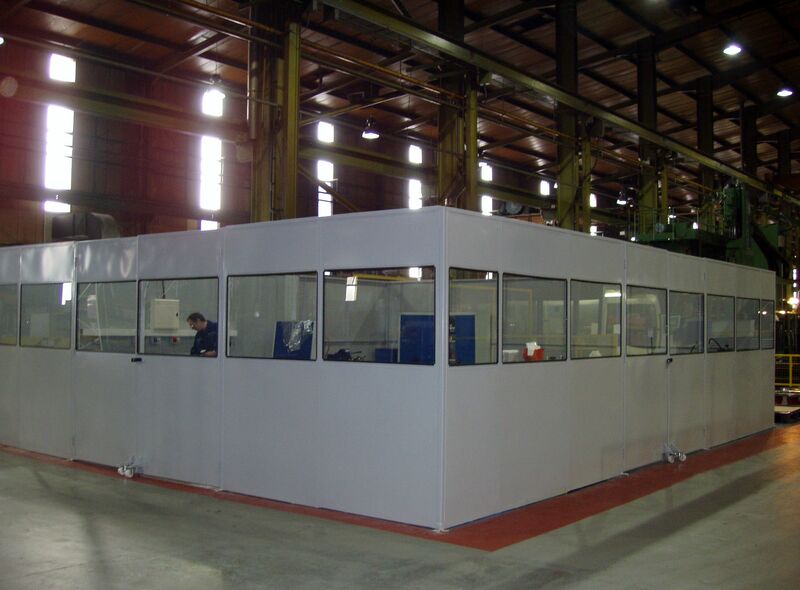 Steel partitions come in a variety of different options to suit any budget and requirements. 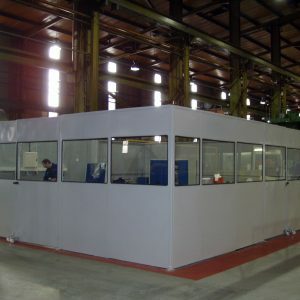 While modern building techniques trend towards prefabricated buildings, industrial steel partitions sections arrive ready made in a choice of colours. 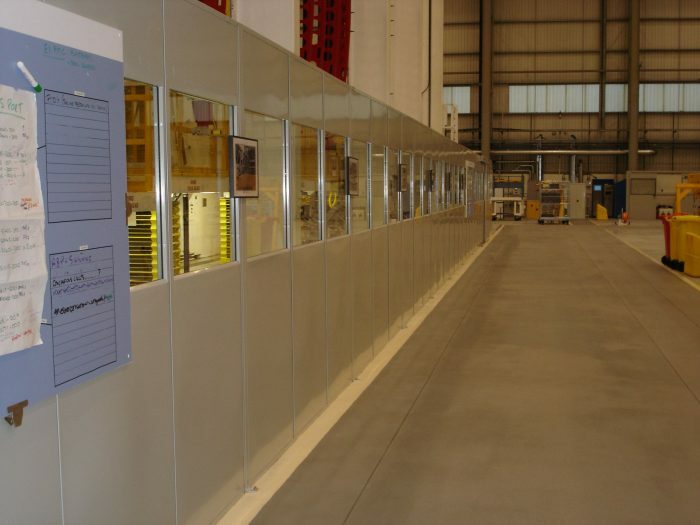 The metal partitions will simply bolt to your existing industrial steel partition wall panels on site. Not necessarily if you don’t have any already! The point is they are bolted together, not wet trades. Consequently no wet trades means no plasterboard dust and no decorators, creating a cost effective solution that has minimal disruption to your business. 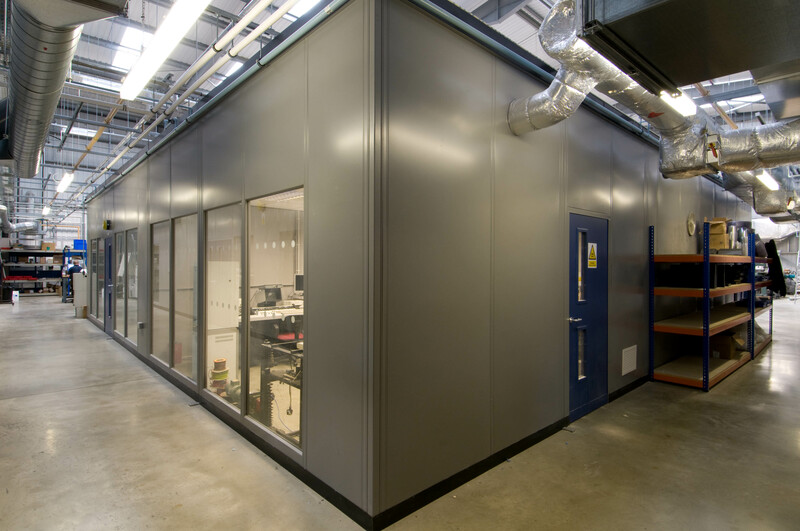 Our steel partitions are easy to wipe down, dust free and can also form the basis of clean-room construction environments. 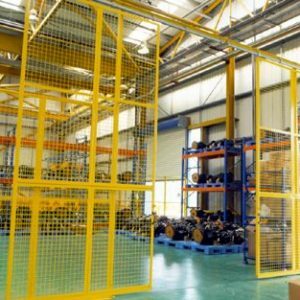 Mesh partitions and warehouse dividing walls are also available. 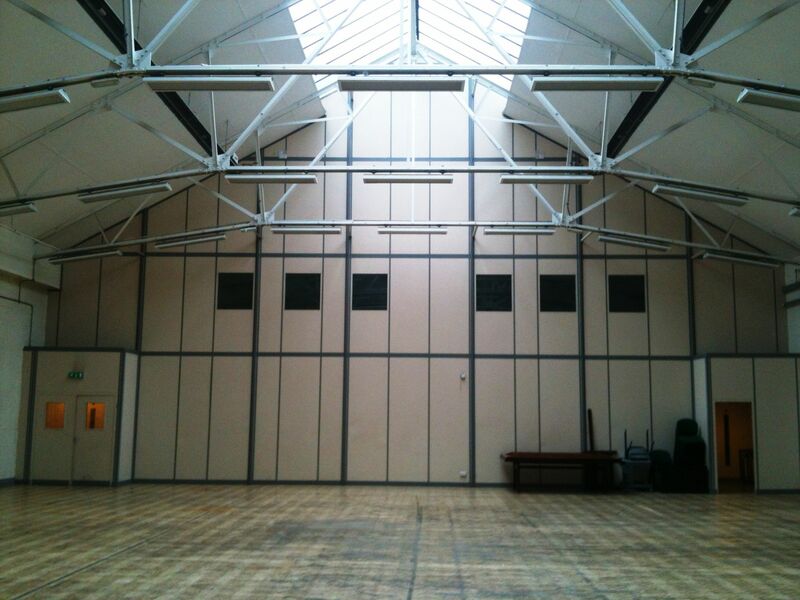 What are the benefits of using steel partitions? 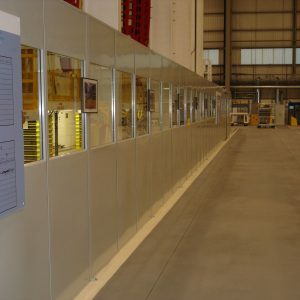 Double skin steel partitioning have the option be fire rated to one hour and beyond. 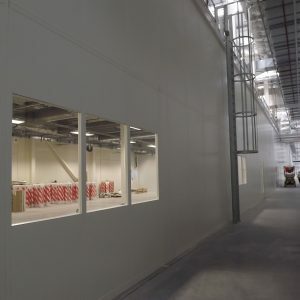 Industrial steel partitioning walls can be used to divide tall buildings, more than 10 metres tall. They have proven balustrade loadings if used on the edge of mezzanine floors. Steel partitions are strong and resilient to damage. 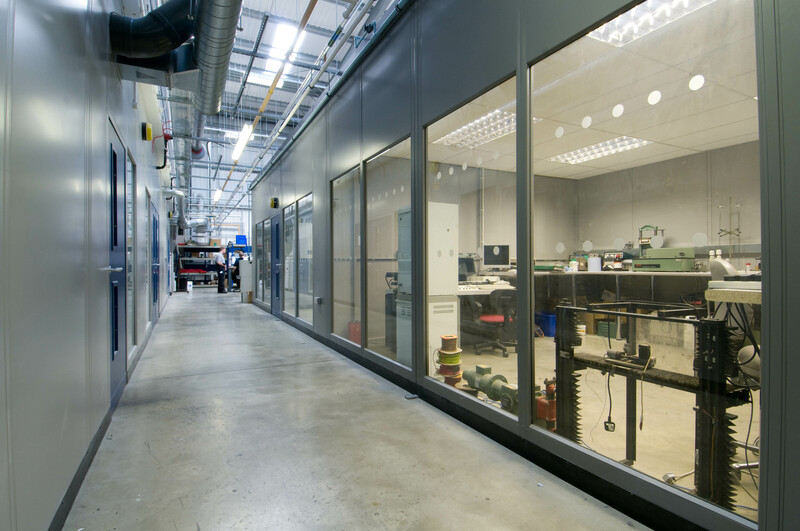 Half glazed, fully glazed, double glazed, wire glass, toughened glass and pyroc glass options are all available in our steel partitions. 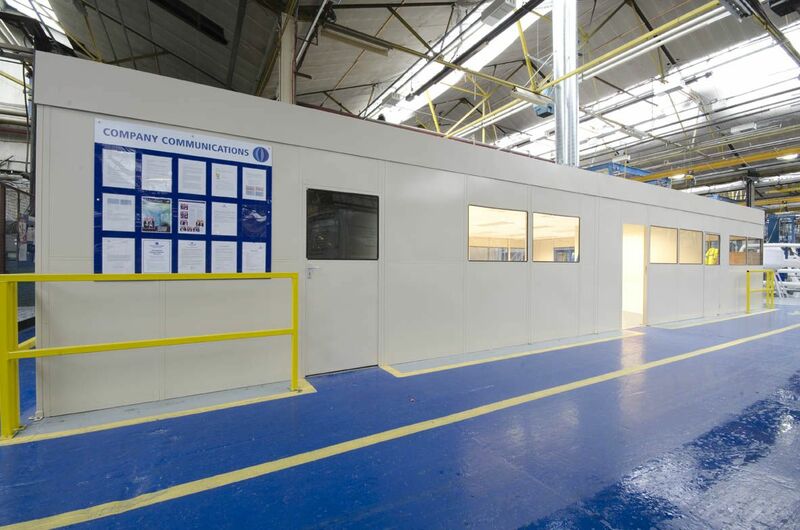 With industrial partitions you have the option to paint them to match your corporate colours. Steel partitioning systems are manufactured off site, offer a dust-free, easy wipe down cleanroom environment. 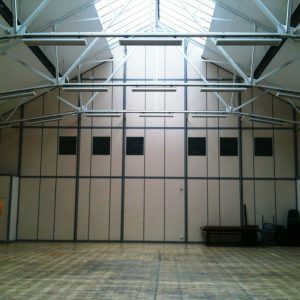 Industrial steel partitions can take ceiling spans from roof sections of more than 7 metres. 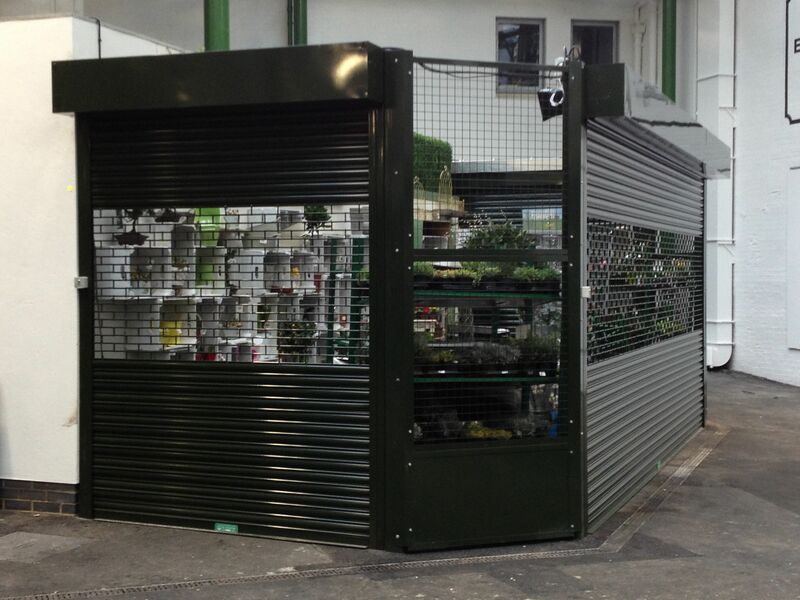 A comprehensive range of accessories are also available that complement our steel industrial partitioning. 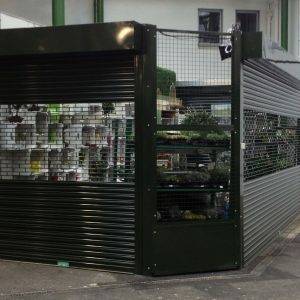 We provide drop-down and sliding hatches, louvres, vents and locking systems. 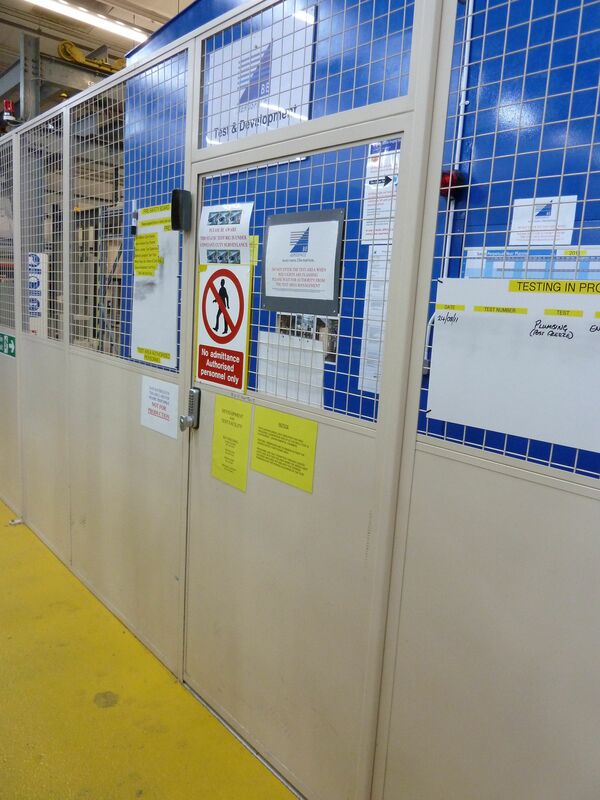 Want to find out more about our steel partitioning systems? 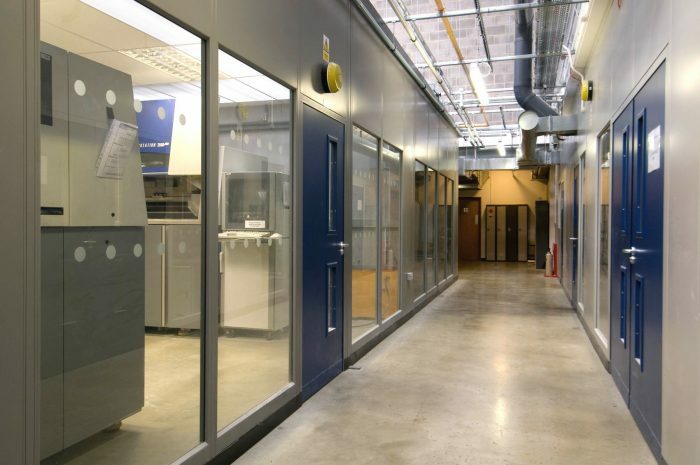 NSI Projects offer steel partitioning for many blue-chip clients across the UK. We have a particularly strong following of SMEs in the north west of England around our base in Preston, Lancashire, as well as in Manchester and Liverpool, and throughout Merseyside, Cheshire and Yorkshire. We’re happy to provide an initial no-obligation consultation, even if your steel partitioning project is many months away; it’s never too early to begin the planning process! Call our experts today on 0800 027 1966 or complete our online contact form.